DETROIT — The last train pulled away more than 20 years ago from Michigan Central Station, one of thousands of “see-through” buildings here, empty shells from more auspicious times. Many of the blighted buildings stay up simply because they are too expensive to tear down. 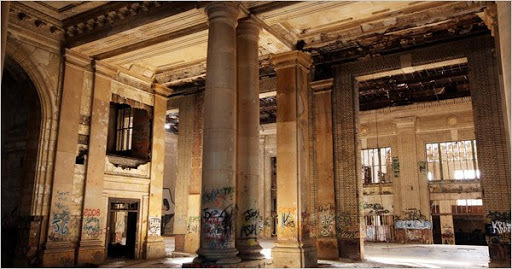 Yet Michigan Central is in a class of its own. Some city officials consider it among the ugliest behemoths to pockmark Detroit and have ordered its demolition, but others see it as the industrial age’s most gracious relic, a Beaux Arts gem turned gothic from neglect but steeped in haunting beauty.